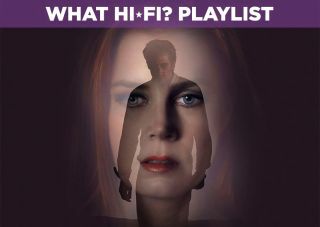 Nocturnal Animals – Blu-ray review | What Hi-Fi? Tom Ford's Nocturnal Animals is a lavish film, but is it a case of style over substance? From its lurid opening credits (which will stick in your mind) to its closing shot, Tom Ford's Nocturnal Animals is not a film that makes apologies. Both stylish and pulpy, beautiful to watch and violent, it's a revenge tale that starts off as a mystery and morphs into something of a tragedy along the way. While it won't be to everyone's taste, its refusal to easily sit in a defined box should be counted as one of its virtues. Nocturnal Animals follows Susan Morrow (Amy Adams), a high profile art gallery owner who’s unhappy with her life. Things take an unexpected turn when she receives a novel from her ex-husband Edward (Jake Gyllenhaal) titled "Nocturnal Animals". She becomes consumed by the violent tale within, which brings long-buried memories back to the surface. The script by Ford is a story within a story. The main thread follows Susan in the present day, while the other takes in the film's fictitious narrative, as well as flashbacks that reveal Susan's past with Edward. It would be easy to dismiss the film as one that's simply concerned with artifice and symbolism over substance. But that would overlook its careful construction where images are mirrored, threads interwoven and motives are left vague to draw the viewer in. This isn’t a heavy-hitting character drama, but it does have hidden depths if you’re willing to find them. It's certainly not the the most lovable of casts either. Aaron Tayor-Johnson's Ray is a scuzzy, malicious individual; Armie Hammer makes a small impact as Susan’s husband Hutton Murrow who’s handsome, dashing and unfaithful. Michael Shannon is imposing as a Texas lawman, but also brings just the slightest bit of levity to the film. Gyllenhaal plays Susan's ex, Edward Sheffield, and then another version of Sheffield in Tony Hastings, who in the film's fictitious narrative sees his wife (Isla Fisher) and daughter (Ellie Bamber) kidnapped. Both share similarities, but to discuss in any great detail might constitute a spoiler. Suffice to say the novel is an act of righting a wrong in more ways than one and, like all good pieces of fiction, it gets under the skin and cuts deep, in this case greatly affecting Amy Adam’s Susan. And it really is Adams' film. It’s a poised performance that belies a sense of discomfort, a mask that unravels as she gets sucked into Edward's novel and the cracks start to appear. Unlike the perfect world she lives in, or at least a world that strives for perfection, she is made up of many imperfections she can't escape. Nocturnal Animals is a visually distinct film that dances between opulent colours and sparse environments. It's an elegantly put together picture. At times it has a very minimalist look, backgrounds dominated by a single colour whether it's a bold red or blue. The fictional narrative set in Texas stands out with its yellows, oranges and reds, giving a humid look that somehow feels like Texas. It makes for a striking contrast with the cool whites and blues of scenes involving Susan. Blacks are deep to point to you could almost jump in and never be seen again. Complexions are handled well. The Texas scenes lend themselves to sweaty, warm and dirty faces, while in the 'present' narrative there's plenty of makeup. Ford seems to revel in the imperfections of his cast, using close-ups of Adams especially to reveal blemishes and wrinkles. There's plenty of detail for a TV to pick up on. The 5.1 DTS-HD Master audio track won't blow your home cinema apart but it is well done, using the centre channel for dialogue that's always audible despite the many accents on show. Abel Korzeniowski's elegant score roams the surrounds (especially the front channels). Apart from some thuds, the roar of a muscle car and a few well-timed jump scares, this isn't a forceful soundtrack - but it is nonetheless well done. Nocturnal Animals won't be to everyone's taste. It can be a cold film, littered with unpleasant characters. Then there are moments, especially the opening credits, where the meaning of what you're seeing can be difficult to grasp. But there are also subtleties that may not be obvious on first watch, and the end shot is a killer. Its AV credentials are outstanding (especially the picture) and on that front alone it's worth watching. Nocturnal Animals is a stylish piece of filmmaking and one of the more interesting films of recent times.